Fish-Eye lens fun before jumping into the Pacific. It’s still hot. Everywhere. It is really hot inside my house, our AC broke again, but honestly, I really don’t care. Comfort is overrated. Actually, I think I know what the problem is; we need a new blade for our fan. That is what the AC Technician recommended ordering when he came by to fix it again a week ago. However, I was so sick of spending money, July was expensive; I told him we would see how long his fix lasted and go from there. Here we are, hot house, panting dogs, and more hours sacrificed at work in my future in order to rendezvous with the AC Tech to hopefully fix it for good. None of this upsets me. It is what it is; I just need to keep moving forward to find a solution. Plus, the short stints that the AC has worked have been glorious. So, if I can string together more than eight days of cool days in a row, I will be ecstatic. 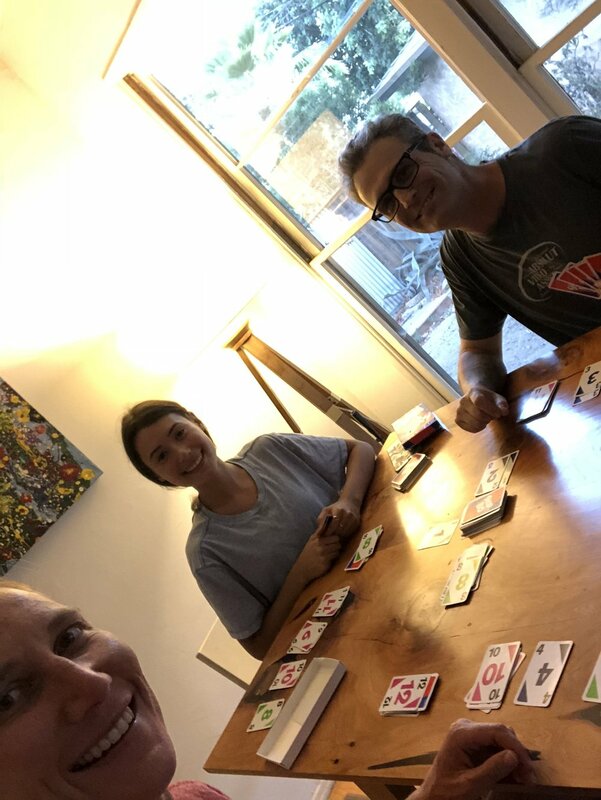 On a brighter note, in the last three days I have ridden over 100 miles along the ocean, played our favorite family card game, (the first time we have done that in years), swum in the ocean, sent Marion safely and successfully off to Vancouver, and ran seventeen miles. The AC going out again was just a wink from the universe making sure I am paying attention. Truthfully, the only thing that I care about right now is that I am back in Ironman training. The biggie race of the year/my lifetime is up next. 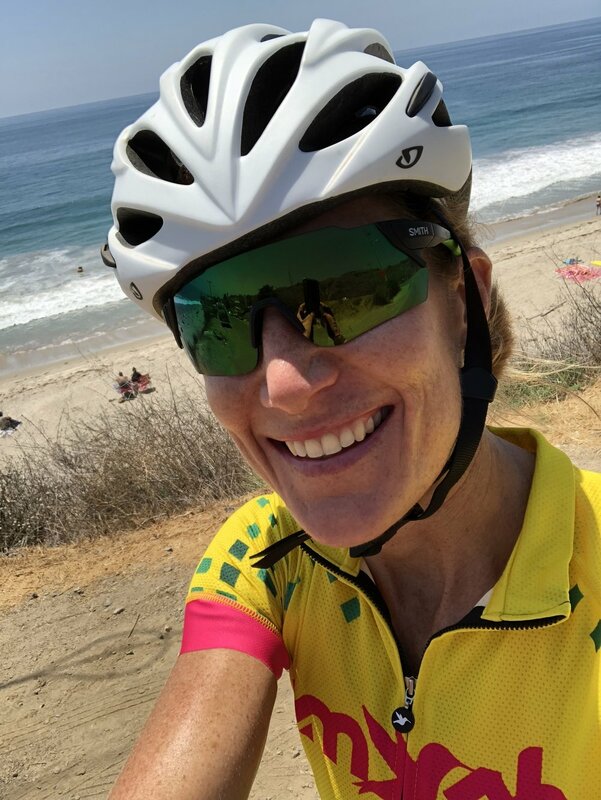 Ninety miles into a 101 mile bike ride along PCH. No matter what else is going on in my life, I am always the most content when I am in Ironman training. It could because my priorities become crystal clear, I will accomplish every other task on my plate swiftly in order to make training the top priority. Plus, even though I enjoyed training and racing for the Santa Rosa, 70.3, I am programmed to go long. 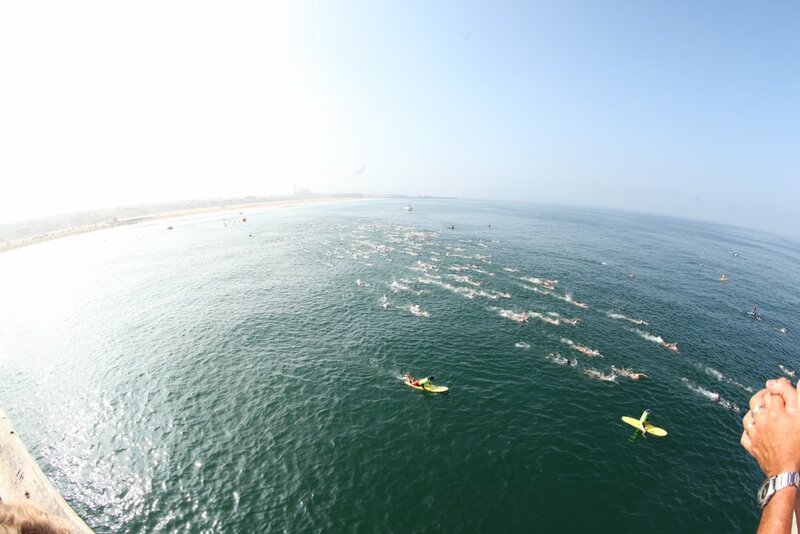 Hermosa Beach Pier, AKA the starting the line for the Pier to Pier swim race. That is why I went back to Pier To Pier this year. I wanted to face the challenge again. 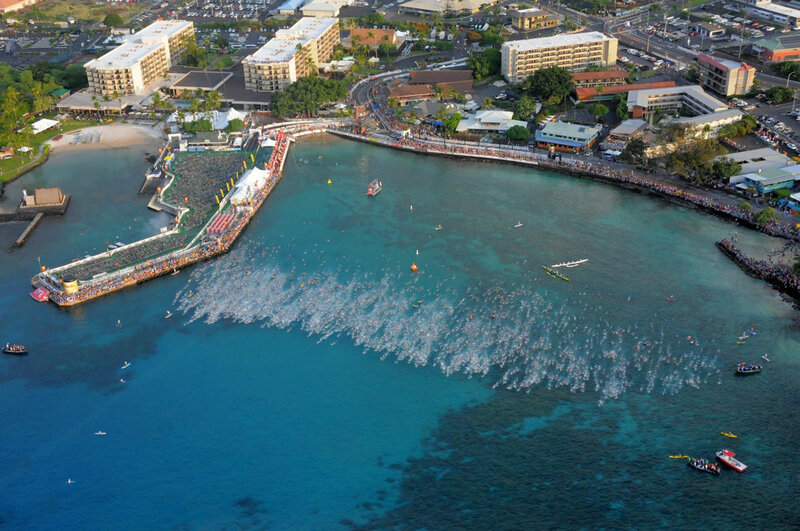 The distance is not crazy, two miles, but the setting of the wide open ocean is what gives this race its teeth. 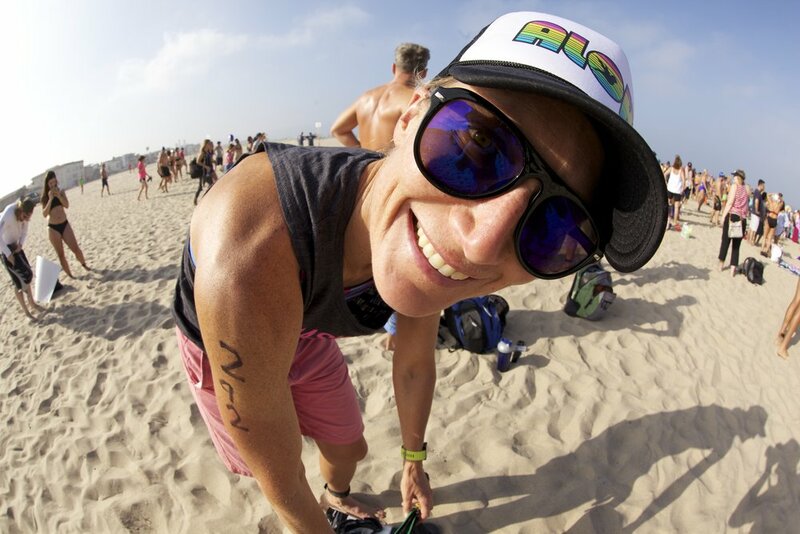 Last year I went into the race over confident after just completing the nutty 2.67 mi. freezing Alaskaman swim, but after a brutal eighty minutes battling the thrashing conditions, I learned a valuable lesson, never underestimate the ocean. This year was a completely different experience. The conditions were fairly smooth, still rougher than lake or pool water, of course, but much calmer than last year. I maintained my heading most of the way, and actually cut through the water at a decent clip, but I think I drifted further out to sea than most of my fellow swimmers, because I found myself by myself spending a ton of time swimming back, (east), towards the pier once I had finally reached it. Then after making landfall, I got pummeled by a wave trying to stand and run toward the finish. It felt like the ocean was giving me a powerful pat on the back. My goal was to improve on the previous years’ time, and I did. I lopped off about eleven minutes.